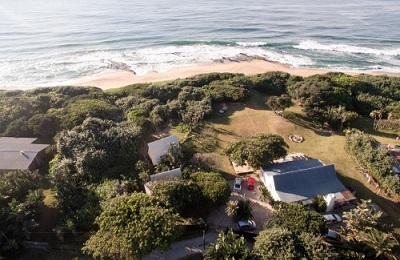 Surf House Durban is situated in Durban on the East Coast of South Africa. It is famous for its perfect beach-breaks, beautiful beaches and great weather. We offer comfortable, safe and unique accommodation within a short walk to local beaches. Catering to both beginner and experienced surfers with some of the best surf breaks in the world,with only a few mates out,what more could you ask for. There are surf guides available to take you and your mates to remote”secret” spots to experience the true Africa. 7 spacious, modern rooms, sleeps 16 guests in comfortable home from home style facilities. As well as a café with a trendy surf shop, a large outside entertainment deck, a private garden, an awesome conversation area with a fire-pit and surfboard racks. The camp is filled with passion for surfing and finding the perfect break on the day to maximize the stoke. The house is situated 1.5 km from local beach, we offer surf trips in two modern Jeeps or there are scooters available for use. 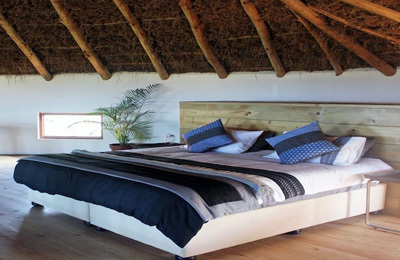 Surf House Durban has four luxury en suite rooms, a shared bunk bedroom and 2 budget rooms. 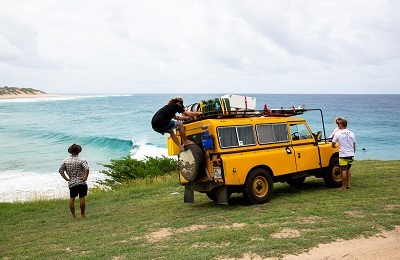 ✔ Numerous living areas to enjoy after a surf. There is a coffee shop to chill if you would like to relax and chat. Cafe Acai bowls, english breakfast nd much more available at the cafe. Also, there are two well equipped kitchens in the property if you prefer to cook your own meals. Kings Size bed with En suite lovely decorated with aircon,usb plugs. Kings Size bed with Ensuite lovely decorated with aircon,usb plugs. Kings Size bed with Ensuite lovely decorated with aircon. Bunk Bed build in comfortable with Ensuite and aircon. Budget accommodation with two single beds and ceiling fans. 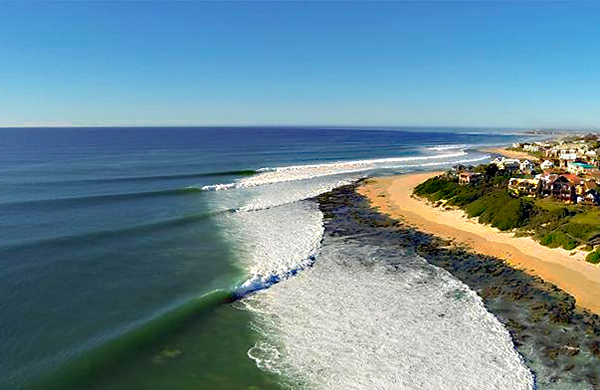 Excursion to remote surfing spots around the Durban area, we have two experienced surf guides with amazing knowledge of local surf conditions and surf spots . These trips are best suited for intermediate to advanced surfers, ensure you get own travel insurance. Situated in the southernmost tip of the African continent, South Africa is marked by several distinct ecosystems. Inland safari destination Kruger National Park is populated by big game. The Western Cape offers beaches, lush winelands around Stellenbosch and Paarl, craggy cliffs at the Cape of Good Hope, forest and lagoons along the Garden Route, and the city of Cape Town, beneath flat-topped Table Mountain. Surf house is located within walking distance to the famous Golden Mile beaches like New Pier and North Beach. Durban has a humid subtropical climate (Köppen climate classification Cfa), with hot and humid summers and pleasantly warm and dry winters, which are snow- and frost-free. Durban has an annual rainfall of 1,009 millimetres (39.7 in). Winters, which are from June to August, are generally warm and sunny. Make sure you carry a passport valid at least 6 months after your arrival date. The closest airport is Durban International Airport (DUR). 60 USD per room per night. Daily surf trips R350 per person per day. ✔ 1,5 h lesson includes surf equipment. ✔ Maximum group size of 4 people. Surf lessons are available at a price of R250 per person per day. Gonna recommend to all my friends! "Saw this place online and dug the vibe, spent the night there with my girlfriend on Saturday and just fell in love with the place. Was the perfect space for my birthday weekend. Jacque was just awesome. We don't live together so generally every Saturday we book somewhere so we will be back very VERY soon. Place felt just like home. Maybe one day we'll even go surfing with Jacque who was more than willing/eager to take us. Gonna recommend you guys to all my friends and family!!!" "Amazing vibe is brought to life by the decor and artwork.... It just feels like Holiday. Close to all the fantastic attractions Durban has to offer and if you are as lucky as I was Jacques and Rene might take you out to surf. If you are looking for an awesome place run by awesome people then you are looking for Surf House Durban"